How many crisps does a packet make? Deep Ridged crisps from Walkers – ‘twice as deep for epic satisfaction’, or as Anne Robinson described them on BBC Watchdog, ‘ridges twice as deep, packets half empty’. Do you get more air than crisps in your bags? They’re calling it #crispgate on Twitter, which describes the phenomenon of a handful of crisps in large packets of Walkers’ new Deep Ridged crisps. 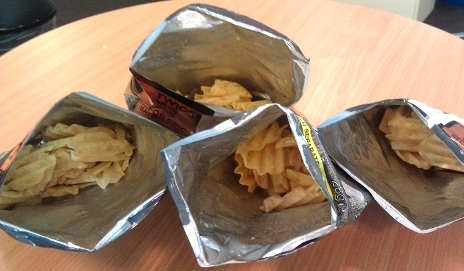 Watchdog viewers sent in pictures of multi-pack bags, with some apparently having as few as seven crisps inside. And when the Watchdog team counted a collection of bags themselves, they found an average of 13 crisps (minus bits). 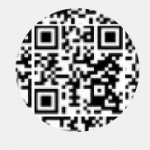 I decided to count some myself – as can be seen in the picture below. I bought a multi-pack of flame-grilled steak flavour Deep Ridged crisps, and counted the crisps pack by pack. Lo and behold I also counted an average of 13 crisps in a bag (minus little bits). In my very small unscientific test, the fewest I found was 11, and the most 15. I’m not necessarily sure whether 13 crisps is bad for a multi-pack bag, but the bags certainly look pretty empty – around two thirds is air. I’m sure other types of crisps suffer from the same phenomenon, with Debby ‏(@dorydebby) sharing her pack of Discos with us on Twitter – the pack contained 14 crisps. According to Walkers, its Deep Ridged packs look emptier due to slightly bigger bags. It explained to Watchdog that the crisps’ deeper ridges make them more susceptible to breakages. To limit those breakages, Walkers puts them in slightly larger packs with some cushioning to protect them, which may give the impression of ‘low bag fill’. It added that there are 28g of crisps in each multi-pack bag, which is apparently higher than the average amount. From the packs I bought, it doesn’t look like the extra cushioning works too well – I was lucky to find five undamaged whole crisps in a bag, with most snapped in half or worse. Still, I guess that comes with the territory when you’re eating crisps. The other thing is that multi-pack bags are so much smaller than those sold separately (I’m sure it’s true for most makes). A normal bag of Deep Ridged is 50g (around 25 crisps), compared to the multi-pack bag’s 28g. I’m might be naive, but I’d expect them to be closer in size to the bags sold separately. 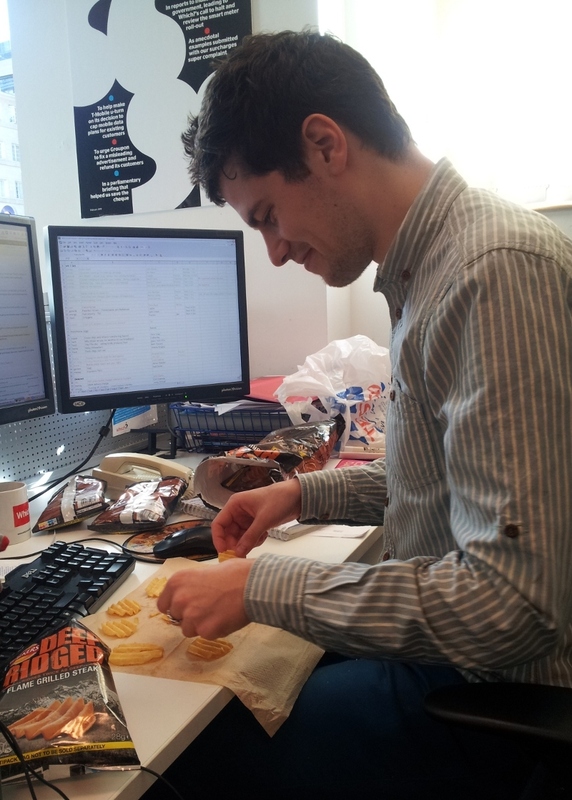 Of course, on a health level, it’s better to eat fewer crisps or none at all. But if you’re expecting a plump bag to be full to the brim with crisps, think again. Have you bought crisps only to find them suffering from ‘low bag fill’? Disclaimer: Crisp substitutes are also available from other manufacturers of processed foods. Kellogg’s own Pringles (they were previously owned by Proctor & Gamble). Thanks, Morag. I had not realised the brand had been sold to Kellogg’s and I had guessed the wrong washing powder manufacturer as the previous owner. Filling crisp bags with air is a practical solution to help protect crisps from damage, though it does mean that storage and transport will be less efficient, adding to costs. That’s true, there is a benefit, but how much air and how empty the bag is is another question. If it’s too big it can make it look a bit misleading. I’m sure manufacturers want to limit disappointment with their customers too, so it’s a balancing act. Despite my rude comments about Pringles, they did work out how to design and package their product so that it would survive rough treatment, which helps keep customers happy. I am not interested in the size of the bag but the value for money. I went to the pub tonight and had a pack of these ‘new’ crisps – 95p for 50 grams, daylight robbery 2p a gram! Lets get back to a realistic weight and price, at a minimum 150 grams and under a £1. It’s funny to be sat here reading this article as yesterday I purchased a multi-pack of these crisps to try. I could honestly not believe my eyes when I looked into the bag as there couldn’t have been more than nine crisps inside — including the broken ones! The statement from Walkers is in my opinion dishonest. They didn’t have to fill 3/4 of the bag with air to protect the crisps when I was younger, and that wasn’t too long ago as I am only 29 years old. Chunky crisps aren’t a new thing either and you would get at-least half a bag full. I actually believe that they’re purposely filling the bags with broken bits to disguise how very little you would otherwise be getting! Also, I have noticed that the king-size packs — supposedly for sharing — are not king-size at all, they are more true to the regular sizes that we once got! To be fair though, It’s not just Walkers or even packets of crisps that are shrinking in size, it’s all-sorts of things… if only the cost shrunk with them! The last three are in the cooking & baking section. Note that if you buy small packs they’re cheaper. Note that the largest pack of walnut halves is 42% more expensive per 100g than the smallest pack of walnut halves – and they’re in different parts of the store. There were no special offers on these. Are supermarkets deliberately overpricing large packs?